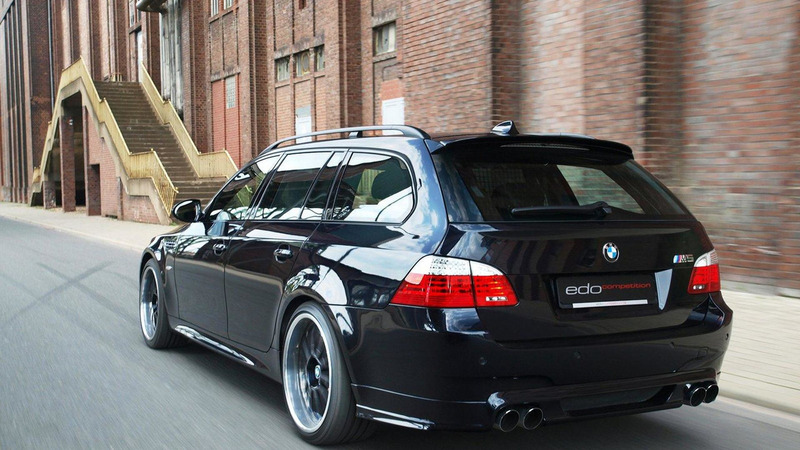 The crew at Edo Competition have announced a modest tuning package for the BMW M5 (E60) Touring. 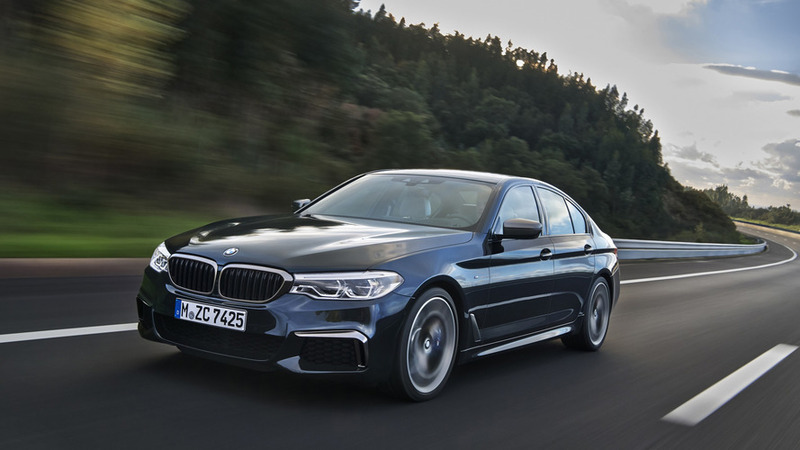 Starting with the engine, the uprated V10 produces 555 PS / 542 bhp / 405 kW (serial 500 PS / 493 bhp / 368 kW) via recalibrated ECU, sports air filter, new sports catalysts and a specially designed sports exhaust system. As a result, peak torque grows from 521 to 560 Nm while the V-max is now 305 km/h, 190 mph (serial: capped at 250 km/h, 155 mph). Acceleration drops 0.5 seconds to 4.2 seconds during the 0-100 km/h, 62 mph sprint and running 100 to 200 km/h, 124 mph arrives in under 10 seconds. Styling includes revised front and the rear bumper fascias plus a rear spoiler. 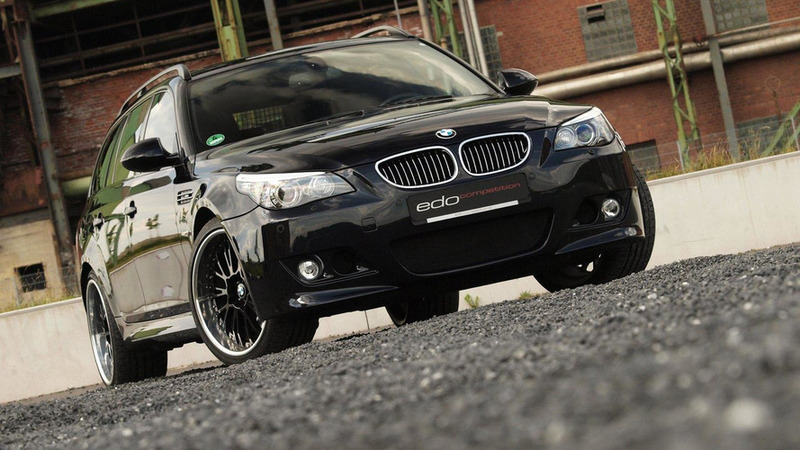 New 20-inch alloy wheels with painted stars rims are wrapped in Dunlop tires (255/35 R20 front, 285/30 R20 rear).